Just two days before President Donald Trump announced via Twitter that he would be immediately withdrawing American troops from Syria, Ambassador James Jeffrey, the U.S. special representative on Syria engagement, told the Atlantic Council that the U.S. military would be staying in Syria until a United Nations-brokered political solution to the country’s war was decided. 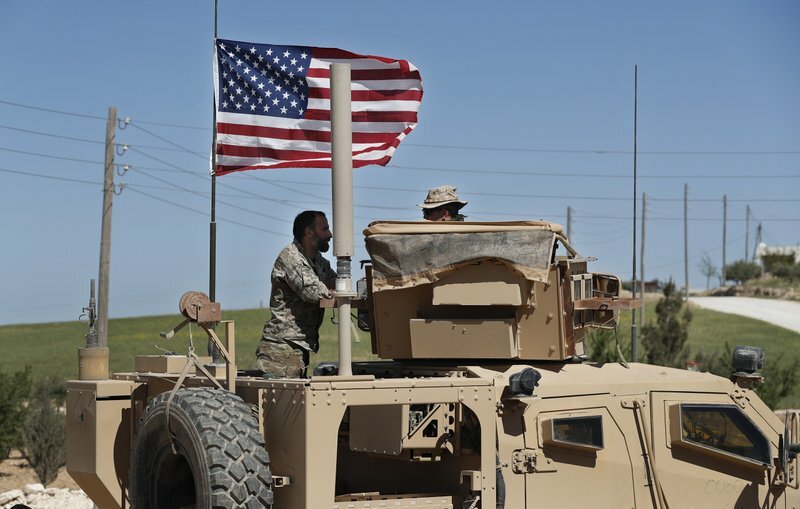 He said American troops would remain until the U.S. could be sure that both Iranian influence in Syria had been curtailed and the Islamic State had been defeated permanently. In his tweet on Wednesday, President Trump instead claimed victory over ISIS and announced the withdrawal, offering no other explanation for the apparently sudden decision, no timetable for its implementation, and no further plans for U.S. engagement with a country where U.S. airstrikes have killed thousands of Syrian civilians. From the beginning to its (seemingly imminent) end, the White House has conducted its military campaign in Syria without authorization by Congress, and has never justified or explained it to the American–or Syrian–people. The Trump Administration has made it clear that they feel they owe no explanation to Congress, to the public, to their allies overseas, or even to their own administration officials about where they send U.S. troops or why. Although the White House denied it publicly, administration officials told reporters anonymously that the announcement caught them by surprise. The State Department canceled a scheduled press briefing following the announcement, and by the end of Wednesday, the Pentagon still could not answer questions about the withdrawal other than to say “the campaign against ISIS is not over.” It remains unclear whether U.S. airstrikes will continue in Syria – despite airstrikes constituting the bulk of U.S. engagement and resulting in thousands of Syrian deaths. Meanwhile, the shadow of backroom negotiations with the Turkish government looms heavily over the decision to withdraw U.S. troops. Turkish President Recep Tayyip Erdogan said Monday that he had received “positive signs” from Trump in a phone call about U.S. support for Kurdish forces in Syria. Erdogan has vowed to prevent the creation of an autonomous Kurdish region bordering Turkey and Syria, while Trump has reportedly been pressuring the Turkish government to back off its criticism of Saudi Arabia over the murder of journalist Jamal Khashoggi. On Tuesday, the State Department announced a $3.5 billion arms sale to the Turkish government. On Wednesday, President Trump announced the troop withdrawal. The American people cannot trust that the White House is making significant policy decisions concerning wars in a responsible manner – decisions that mean life and death to people living in affected countries and to U.S. troops – in a responsible manner. The administration’s handling of U.S. military involvement in the Syrian conflict proves otherwise. The public also cannot rest assured that Congress will conduct rigorous oversight of U.S. wars and military actions – they have shown that they will not. Congress has failed to secure any meaningful explanation of U.S. strategy and goals for our military action in Syria. It has failed to hold this or any administration accountable for unauthorized wars. Our lawmakers have failed the public and the American troops, Syrians, Iraqis, Yemenis, Somalis, and all who have lost their lives in these wars. Instead, it is left to the public to demand that the administration do better, and that Congress do its duty to oversee U.S. wars and hold the military accountable. The American people have a right to know how the White House is making the policy decisions that govern U.S. military engagement, so we have more to go on than vague tweets and murky arms deals that give us nothing but small glimpses of why our country sends troops overseas or abruptly decides to bring them home.